The island of Bali has always been unique. Islands tend to evolve at their own pace when it comes to culture and society and that has to do with the fact that they are isolated from mainland life. 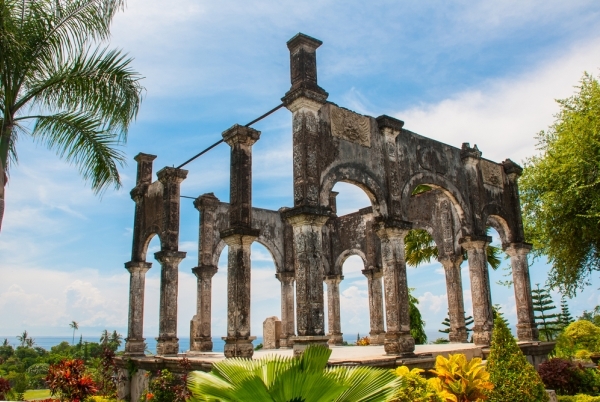 Bali is no exception and this beautiful island has so many stories to tell from its rich history. Whether it is the influence of Hinduism or its isolated location, far from mainland Asia, Australia or North America, Bali does things differently. Checking out the various art markets across the island is an extremely good idea but for a deeper dive into Bali’s art and history, we have some recommendations for you. A truly beautiful monument that depicts the plight of the Balinese people, constantly dealing with outsiders trying to change their ways. 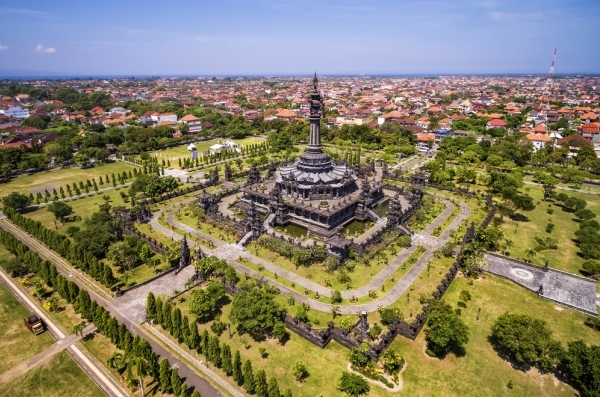 The Bajra Sandhi Monument is a major landmark in Denpasar and it sits right in the centre of Puputan Renon (Renon Square). There are three sections to the monument: the Nista Mandala (outer courtyard). Madra Mandala (inner courtyard) and Utama Mandala (the main building that is at the centre of the monument). Each of the Mandalas contains various exhibits and artefacts, including a library and exhibition halls. Do not miss the 33 dioramas in the Utama Mandala that show important events in Balinese history. An art museum that thematically collects the melting pot culture of the Asia-Pacific region, Museum Pasifika offers more than traditional art. With 350 paintings from over 200 artists from 25 countries, the Museum is not lacking in beautiful art. There are also 250 historical artefacts in the museum. There are temporary art exhibitions that come to the museum as well and this is a good opportunity to see ‘Tapa’ a kind of bark artwork from Oceania and the Pacific islands. This museum in Ubud is extremely famous as it used to be the house and studio of celebrated Philippine-born artist Don Antonio Blanco. The beautiful house is situated on a hilltop and it contains the paintings, collages and illustrated poetry of Blanco. You can take guided tours of the museum and even eat lunch at the restaurant that is in the museum. This lavish palace and its beautiful gardens are worth seeing and if you are in Ubud, it is absolutely worth a few hours of your time. Founded by Agung Rai, a man who spent his life preserving and developing Balinese art, the ARMA museum covers a wide gamut of Bali’s beautiful art heritage. Contemporary art, foreign artists that lived in Bali and even traditional Balinese art have a home here. The museum has a permanent collection that has all kinds of Balinese and Indonesian art and the ARMA Foundation are very active in their upkeep and addition to this collection. 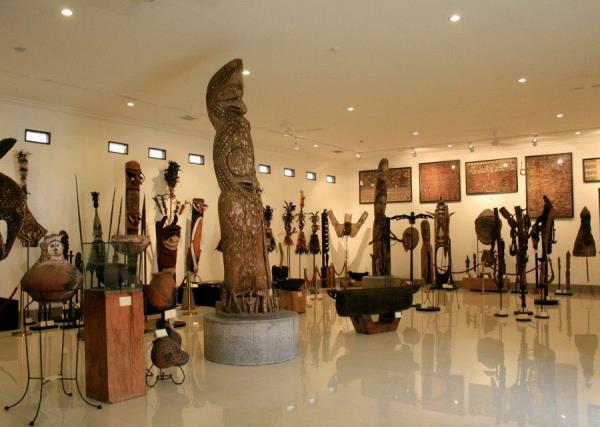 Art lovers must visit the museum to get a true overview of what Balinese and Indonesian art is. 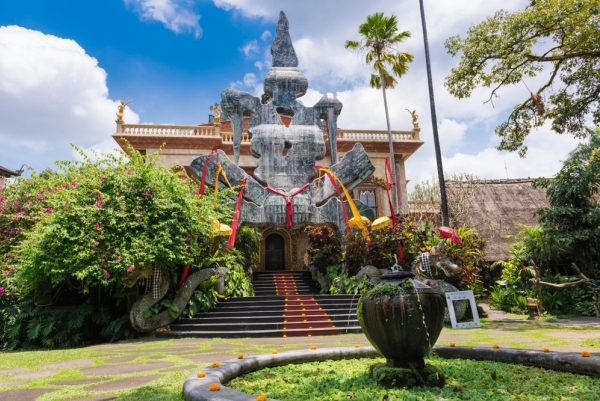 Setia Darma is another art institution not far from Ubud. Tasked with the mission to preserve Indonesian heritage items, Setia Darma has gone beyond their remit by collecting more than 1000 masks and 4000 puppets from all over Indonesia, Africa, China, South America and Europe. 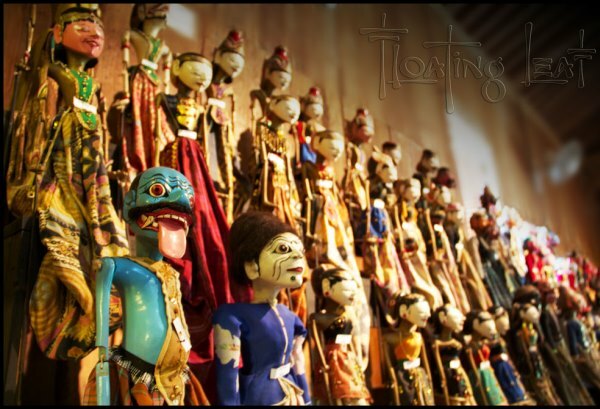 You’ll see all kinds of colourful, wild and intricate masks and puppets at this museum. 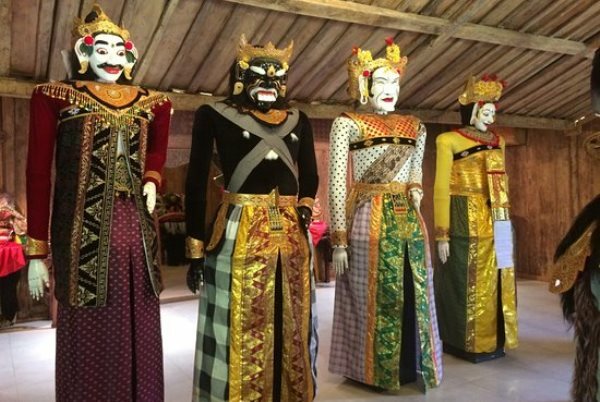 The Tegal village, where the museum is located, is already famous for woodcarvers, mask makers and sculptors so it fits very well within the neighbourhood. 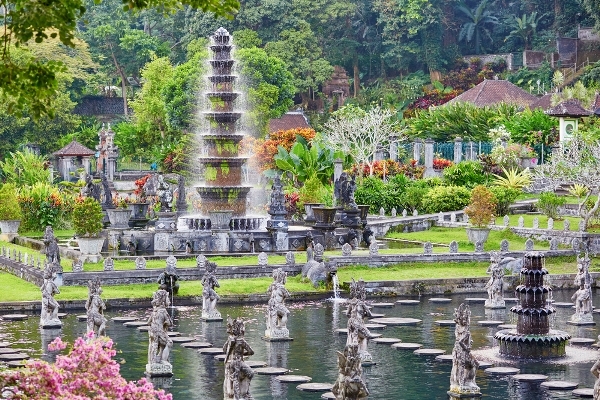 The Tirata Gangga Royal Water Garden is one of the most impressive legacies of the Karangsem royal family that ruled East Bali. Spread of 1.2 hectares, the ponds, pools and fountains of this extremely well maintained garden exude an air of peace. There are statues, sculptures and stepping-stones all over the gardens. Just a couple of hours in these gardens brings you to a serene state that you’ll remember for a long time. The sister site of Tirta Gangga, this complex has a different array of pools and sculptures with Mount Agung in the distance. 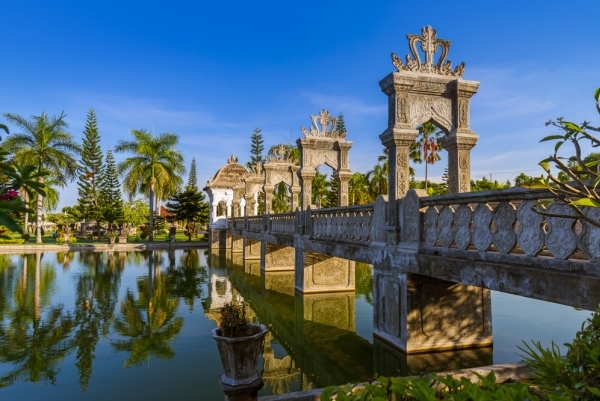 The Ujung Water Palace is 10 hectares in size and it is easy to get lost in its winding garden paths. Crossing the bridges that overlook the massive pools is a photogenic moment that you won’t soon forget. 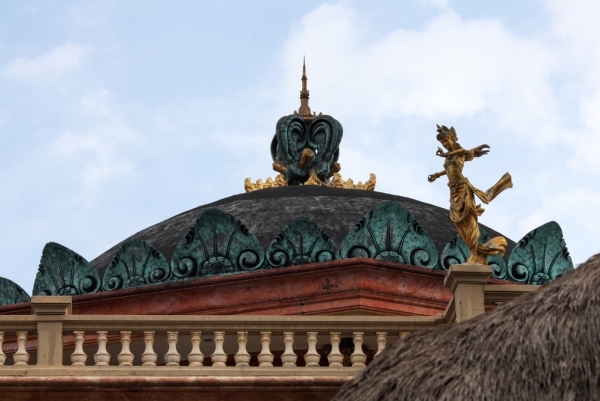 A mixture of Balinese and European architecture is clear for all to see and these melds very impressively with the tropical plants that cover the area. 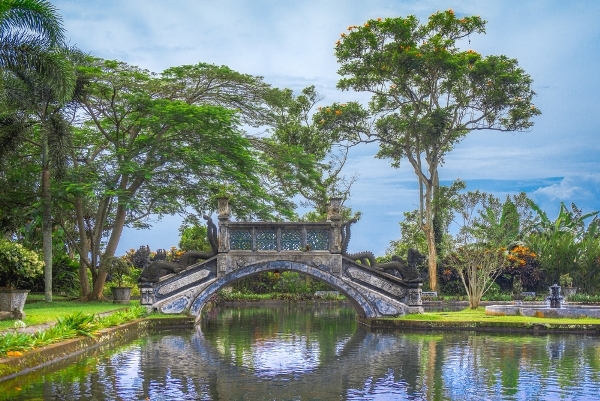 Vantage points offer more breath-taking photo opportunities but essentially Taman Ujung Water Palace is yet another gorgeous part of Balinese culture that demands admiration. Immerse yourself in Balinese art and culture with small journeys throughout the island. Rest and relax at the InterContinental Resort Bali. Experience Jimbaran Bay up close and be pampered by our staff, book your stay today! BEACH WEDDINGS ARE JUST THE BEST! WILL YOU BRING YOUR FAMILY TO BALI AFTER YOU SEE THIS?